The first guy I was ever infatuated with wore blue jeans, a white t-shirt and loved PBR. It was one of the few things I knew about him as I was just a lovestruck teenager at the time who could only watch from afar in hopes that one day he might notice me. He’s married now, and here I am, in my New York City studio’s kitchen, baking onion rings and thinking about that one time years ago when I ran into him in the store and he had a case of PBR. “I love PBR,” he said to my teenage self. I didn’t know how to respond. *If you don’t have flat beer on hand (like I do because I’m cheap and always put opened ones back in the fridge rather than pouring them down the sink if I don’t finish them), use a whisk or fork and whip the beer for a few minutes until it’s flatter. Preheat your oven to 425-450 degrees. Get 3 shallow bowls (I use take out containers). 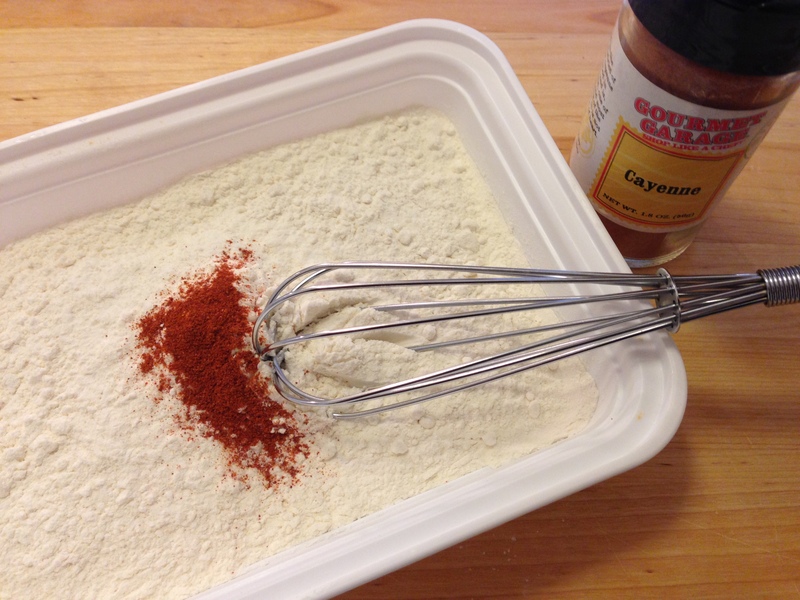 In the first bowl, add the flour and cayenne pepper. Mix with a whisk or fork so it’s evenly distributed throughout the flour. 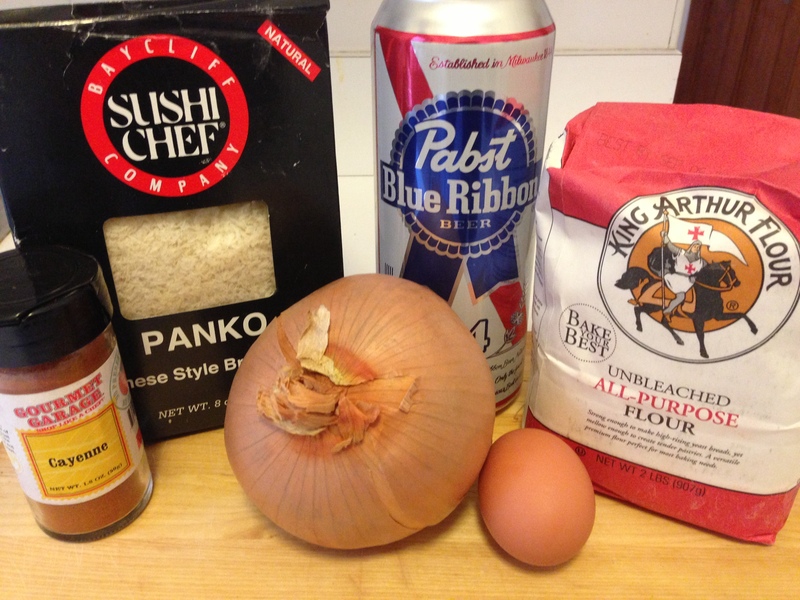 In the second, slightly larger bowl, add the two eggs and the flat beer. Take 1 1/2 tablespoons of the flour mixture from the first bowl and whisk it into the beer and egg mixture in your second bowl. In the third bowl, pour the panko in. 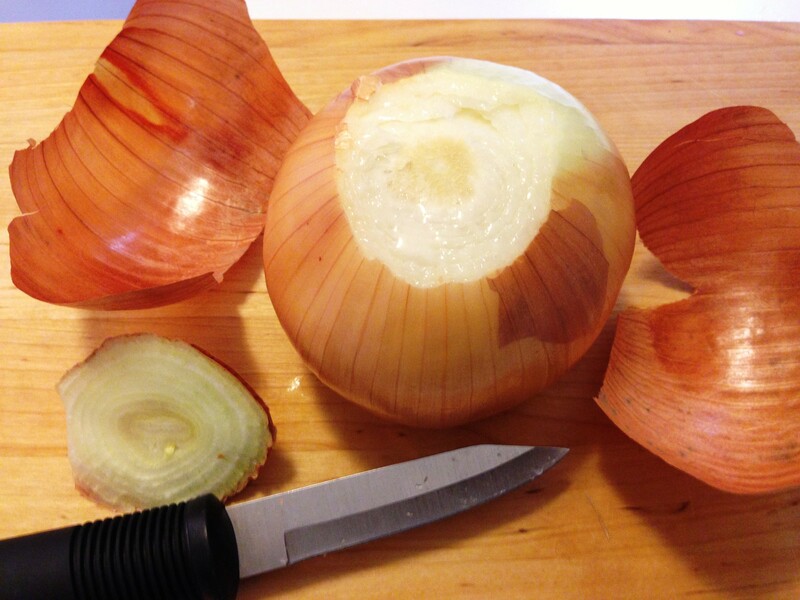 Now begin prepping your onions. Slice the ends off and remove the skin. 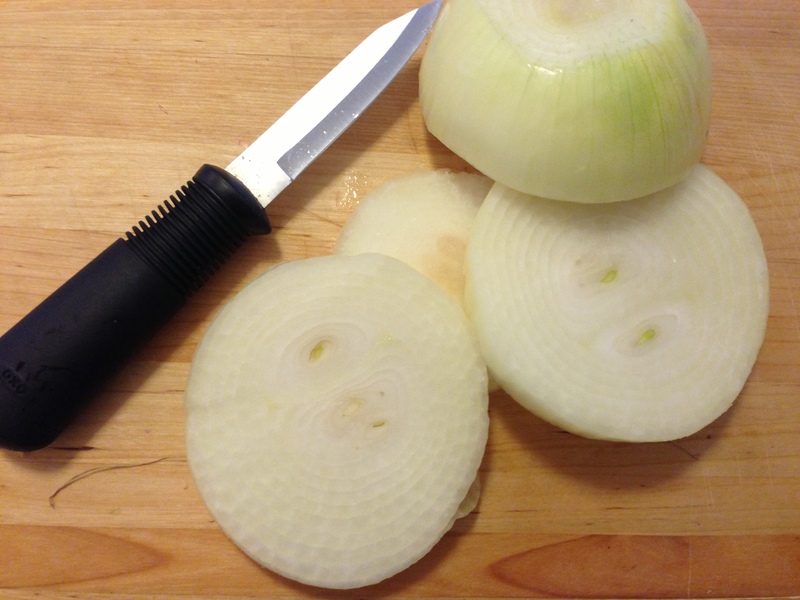 Now carefully slice 1/4 inch rings. 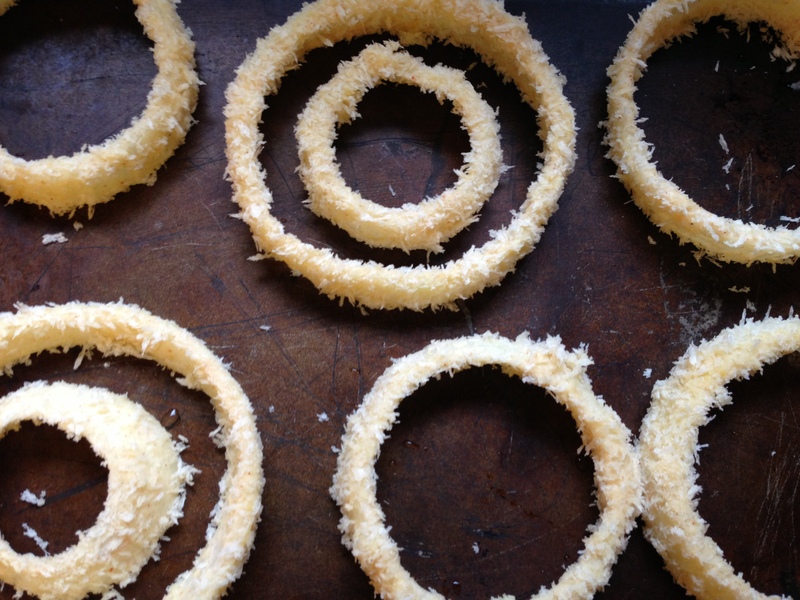 Carefully pull apart the rings and select the best ones. 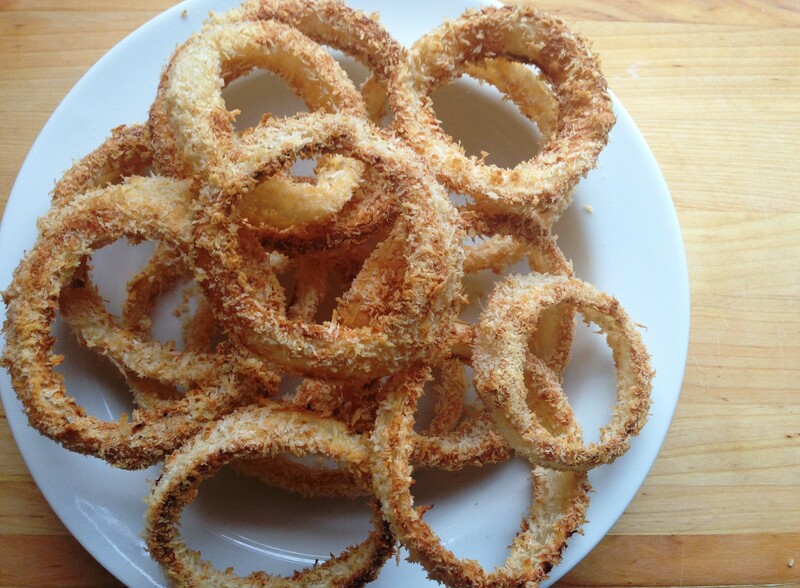 I like to soak the onion rings in the beer mixture for about 10-15 minutes before I begin coating them (it really makes a difference in flavor!). After soaking, take the beer-coated rings and lightly dust them in the flour, shaking off any excess. 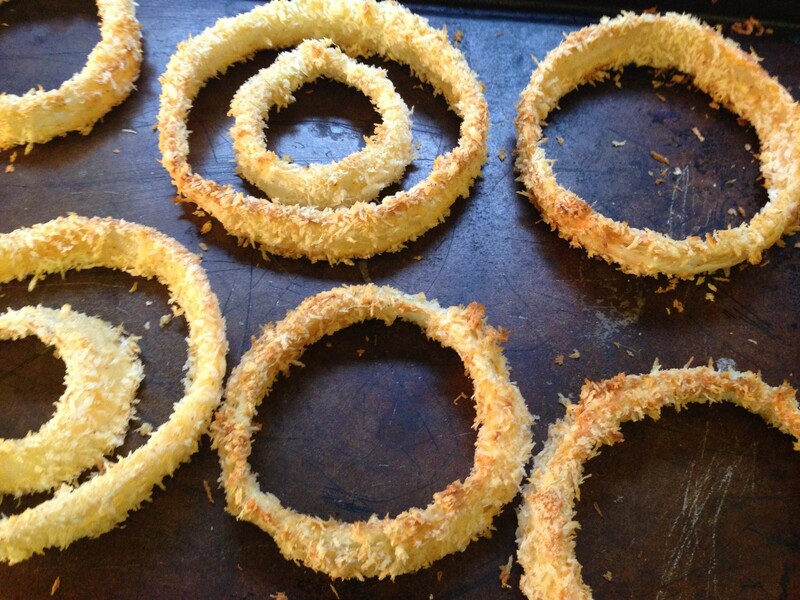 Now return the rings back to the beer batter and then into the panko for a final coating. Gently place them on an ungreased baking sheet. I worked in two batches as my baking sheet is tiny, and I of course only have one. Bake them for about 25-30 minutes or until the edges turn golden brown. 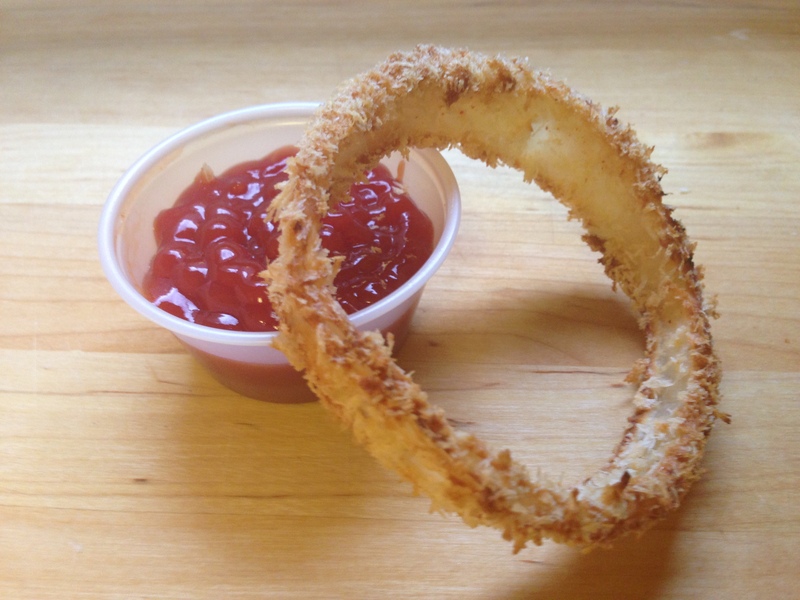 If you like, sprinkle the hot onion rings with sea salt for added flavor and serve alongside ketchup. I like to add a splash of Sriracha to my ketchup for a little kick.